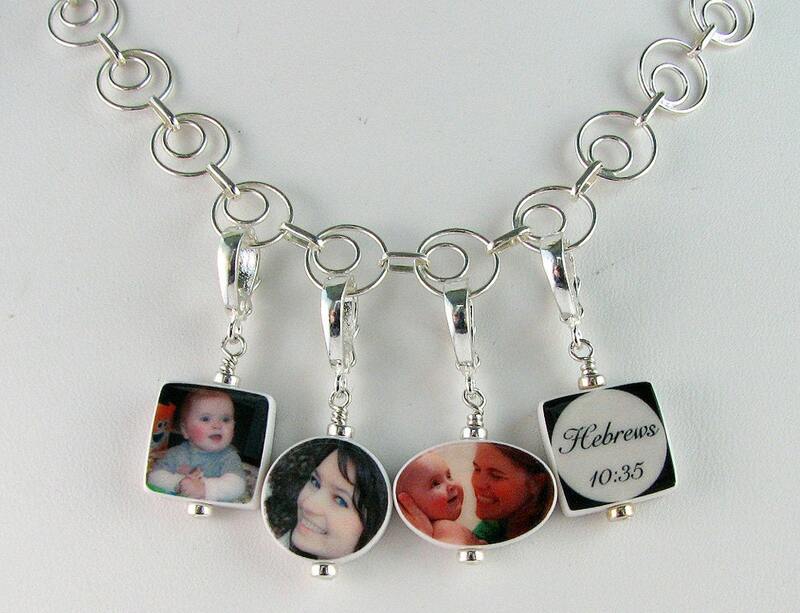 This is a very classy sterling silver charm necklace that would be perfect for Mother's Day. 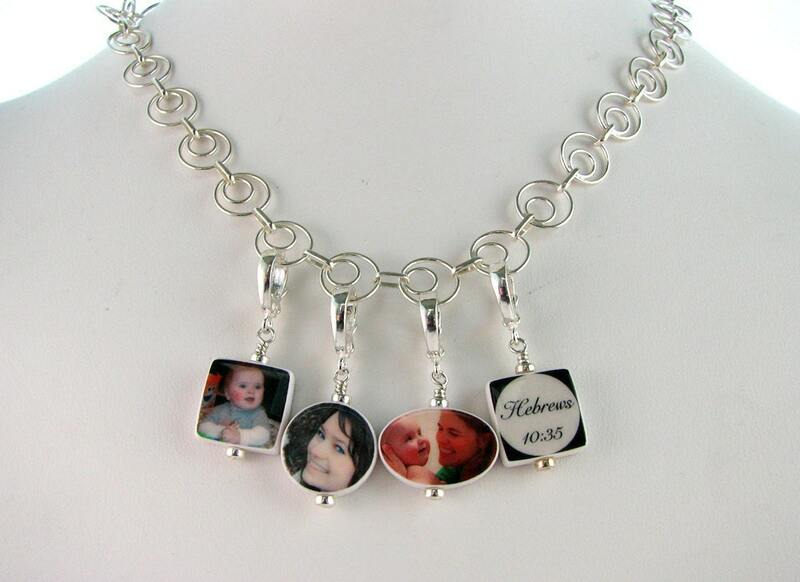 A favorite for charms; this necklace comes with 4 two-sided photo charms and you can choose the shapes you prefer. Circles are approximately .63", ovals are .5" X .75" and squares are .5". All of which can be mixed and matched. 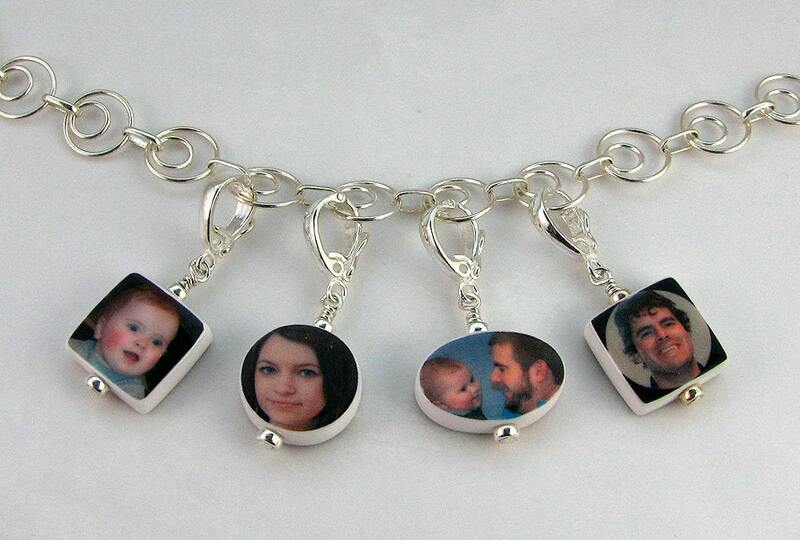 Each charm comes on a locking, removable bail so that you can rearrange, add, or remove charms on a daily basis if you like. 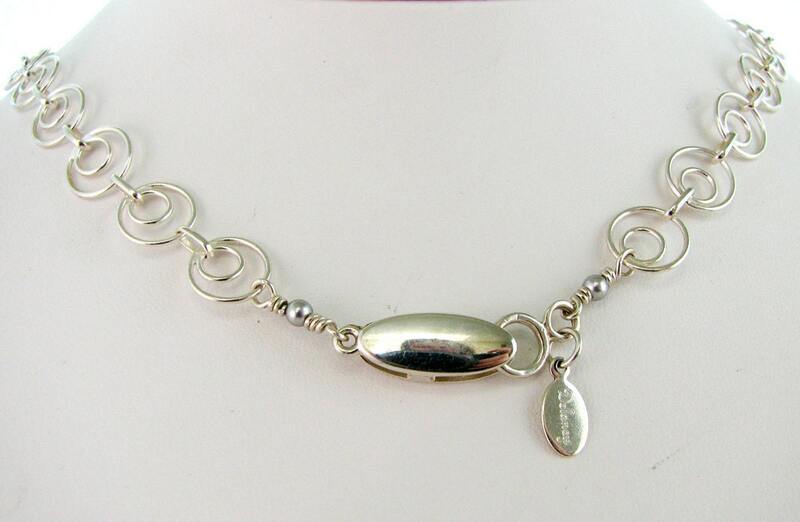 The necklace can be custom ordered between 16" and 20" long, and it comes with a sterling magnetic pinch clasp. This price reflects my Buy 3 Get 1 FREE offer on tiles. * This listing is for 4 tiles and the price reflects a quantity discount. 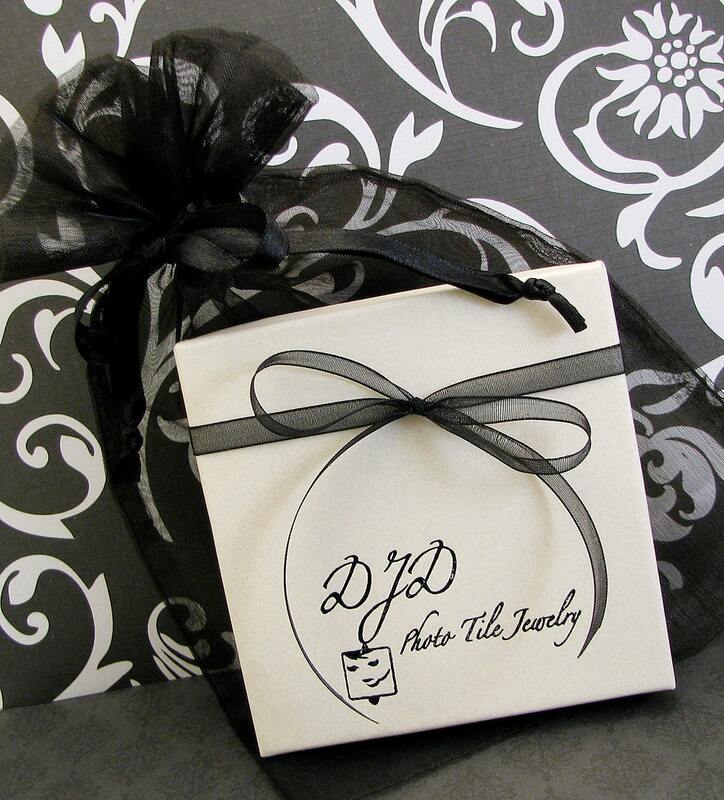 If you would like to make design changes to this order, e-mail me at DJD [!at] Q.com for a custom quote. NOTE: Images above show more "pixilation" than is evident in the actual finished product due to the lighting, refections, etc. The finished product is actually very clear.